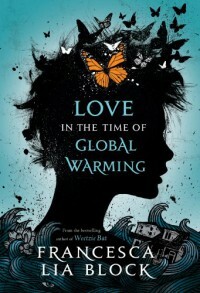 Love in the Time of Global Warming by Francesca Lia Block is one of those books that dazzles and sparkles, but once you look through all that and get down to the details, it starts to lose some of its shine. The parallels are there, the characters realize it since they have a copy of the book, they find it strange and curious, but then nothing else comes from it. Their lives just happen to be mirroring the events in The Odyssey. But where the book does shine is in the prose, in the teen characters, and in the magical realism that is Block's signature. The characters feel real, their internal struggles (primarily grief and their sexualities) are relatable, and their external battles (as in, the end of the freaking world) are fantastical but still grounded in their responses to it. The world After is beautifully illustrated, though horrific in its construction. If you want an easy read with a rich world and characters, then read this book, just mind the details left unsaid.